The Raspberry Pi is great, but it’s also missing a few things you need to actually use it. Namely, a keyboard, mouse, and monitor. Adafruit solves that (with the exception of the monitor), with the Computer Add-On Pack. 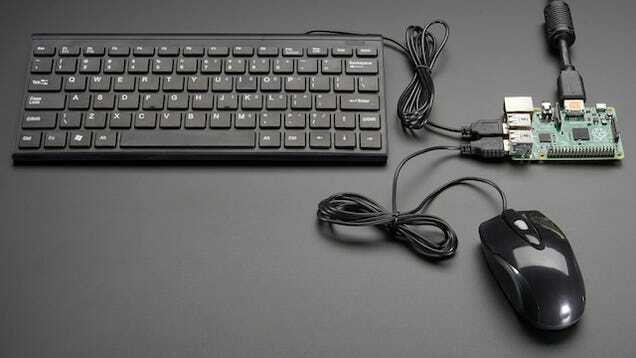 Included here is a wired keyboard, wired mouse, and HDMI cable, all for $23. It’s not exactly the best stuff on the market, but if you just want to get started using a Raspberry Pi it’s handy to have everything you need in one pack. Everything’s verified to work with the Pi, doesn’t require any setup (except plugging them in), and it’s cheap enough that it’s worth it even if you already have this stuff around just so you can get a dedicated setup for your Pi.